Sony Xperia ZL resembles with the water resistant Xperia Z in most of its features. An unlocked device enables you to have a fun drive into the 5 inch thick HD display, the best cameras and the quad core processor. However, the $759 mean a quiet sum of money. This article enable you to find out wither or not the Sony Xperia ZL lives-up to its original price. 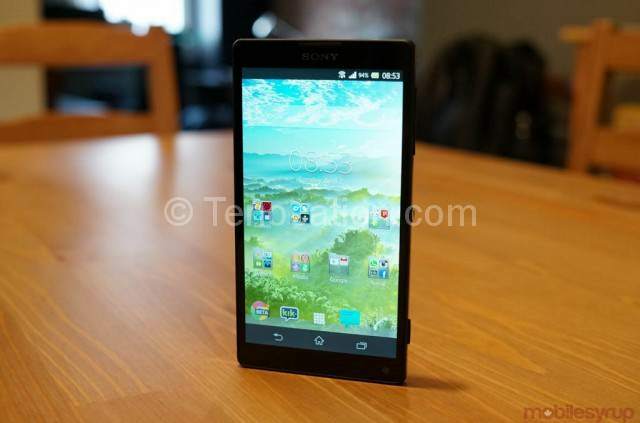 Sony’s Omni Balance design scheme once again plays its part in designing the Sony Xperia ZL. As they have practice of lending the phone a sense of firmness in all directions, the mentioned Smartphones also defines this tradition. The thin bezel helps to highlight the Sony Xperia ZL 5 inch display, and on the other side its chrome edge gives the Smartphone the elegant look. It is available in black, red and the white colors. This Smartphone is missing the hardware buttons beneath the screen as they have integrated the recent app button into the software. The placement of the front facing camera is also appealing as they have placed it just beneath the display. Therefore, for making the video call active, you have to put the phone closer to your forehead, and otherwise others will not see your face. On the left side of the camera, there is a status indicator, the charging makes this to glow red like the K.I.T.T from the Knight Rider. The phone’s volume rocker is on the right edge. The dedicated camera button, circular power and the IR blaster are also on the same side. The perfect positioning of the power button enables you to quick locking and unlocking without using the other hand. The left side of the Sony Xperia ZL features the micro USB port. They have placed the 3.5mm jack sits on the top of this Smartphone. You can hold this easily as its rear panel is covered with a textured rubber material. It’s 0.39 inches diameter and only 5.4 ounces weight make it the most sylphlike handset of present. 5-inches 1080p Reality display is featuring the inspiring 443-pixels per inch. On the other hand, the Galaxy S4 is offering the 441 PPI. The HTC One seems to win the race in this case as it is featuring the 468 PPI. 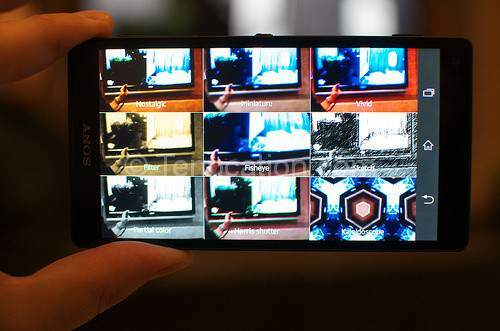 Bravia Engine 2 technology differentiates the Sony Xperia ZL from the S4 and One. The introduction of this technology has improved the quality of the image and video incredibly by presenting the features like color management, real time contrast optimization, the sharpness filter and the noise reduction. You can access the performance of the Xperia ZL’s panel by watching the trailer of Iron Man 3. You can easily see the scratches on the Iron Man’s armor and small pieces of debris. These kinds of details appear dull and muted, clearly the Bravia Engine is responsible of superior performance. The side view of the Sony Xperia ZL is not clear as compare to the HTC One. It’s viewing angel are narrow, and you will see a cloudy image on viewing the screen from the sides. The Xperia ZL is offering a rear mounted speaker. It is no matter which kind of song you are listening, you will get the clear audio each time. The xLOUD setting allows you to pump up the volume. The Clear Phase setting allows you to get more refine listening experience, it enhances the quality of the audio without any alteration in the speaker volume. The Clear Phase setting is recommended, because of its ability to provide cleaner sounding audio. There is no change in the Keyboards as the ZL is featuring Sony’s standard Xperia keyboard. Along with the basic functionalities, it is also offering the Swype like Gesture input feature. This keyboard allows you to enjoy three pleasing layout options, a standard QWERTY keyboard, classic flip phone style and the version which allows you to long press to write the symbols and numbers. 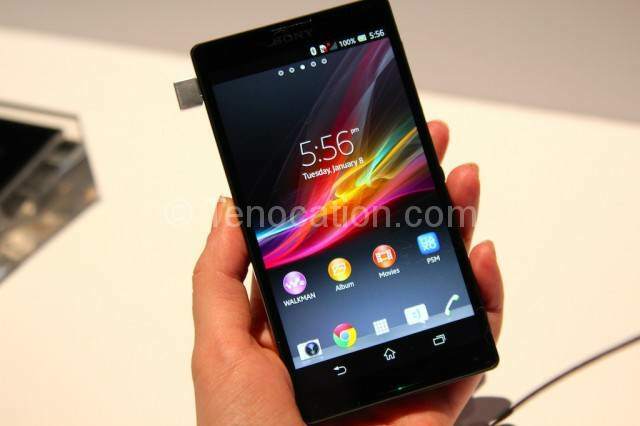 Sony Xperia ZL is offering the various applications. Along with all the Google applications, it is also featuring Walkman, Album, Sony Select apps, the Movies and various other Apps.